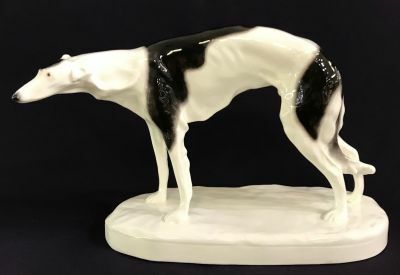 Goldscheider ceramic figure of a Borzoi/Russian Wolfhound. Made in Vienna, Austria, circa 1925-30. 7 1/2” high, 11” long.